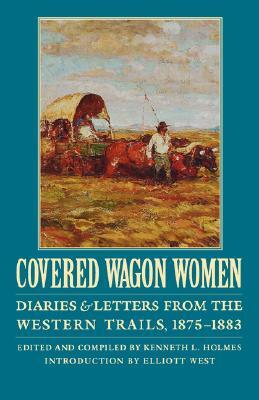 Forty years after the legendary overland travels of Oregon pioneers in the 1840s, Lucy Clark Allen wrote, "the excitement continues." Economic hard times in Minnesota sent Allen and her husband to Montana in hopes of evading the droughts, grasshoppers, and failed crops that had plagued their farm. 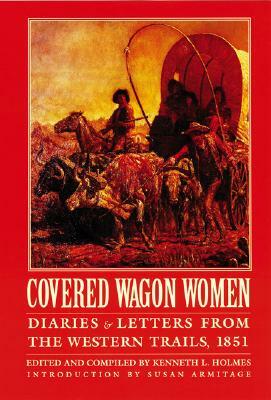 Allen and her compatriots, in this volume of "Covered Wagon Women," experience a much different journey than their predecessors. Many settlements now await those bound for the West, with amenities such as hotels and restaurants, as well as grain suppliers to provide feed for the horses and mules that had replaced the slower oxen in pulling wagons. Routes were clearly marked--some had been replaced entirely by railroad tracks. Nevertheless, many of the same dangers, fears, and aspirations confronted these dauntless women who traveled the overland trails. Description: Forty years after the legendary overland travels of Oregon pioneers in the 1840s, Lucy Clark Allen wrote, "the excitement continues." Economic hard times in Minnesota sent Allen and her husband to Montana in hopes of evading the droughts, grasshoppers, and failed crops that had plagued their farm. 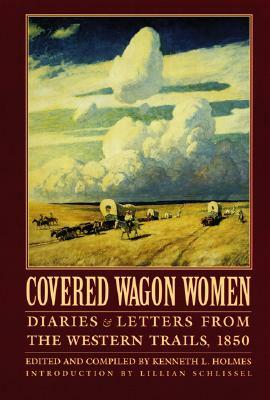 Allen and her compatriots, in this volume of Covered Wagon Women, experience a much different journey than their predecessors. Many settlements now await those bound for the West, with amenities such as hotels and restaurants, as well as grain suppliers to provide feed for the horses and mules that had replaced the slower oxen in pulling wagons. Routes were clearly marked-some had been replaced entirely by railroad tracks. Nevertheless, many of the same dangers, fears, and aspirations confronted these dauntless women who traveled the overland trails. Elliott West is a professor of history at the University of Arkansas. His works include The Saloon on the Rocky Mountain Mining Frontier, also available in a Bison Books edition.